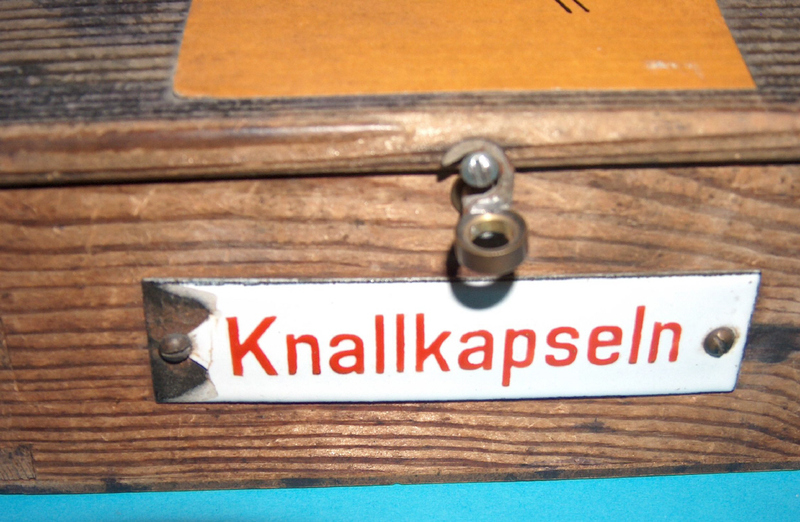 The photos below show one version of a pre-1945 railroad signal. Other models exist. These were used on tracks when personnel worked close to, or on the railroad tracks. 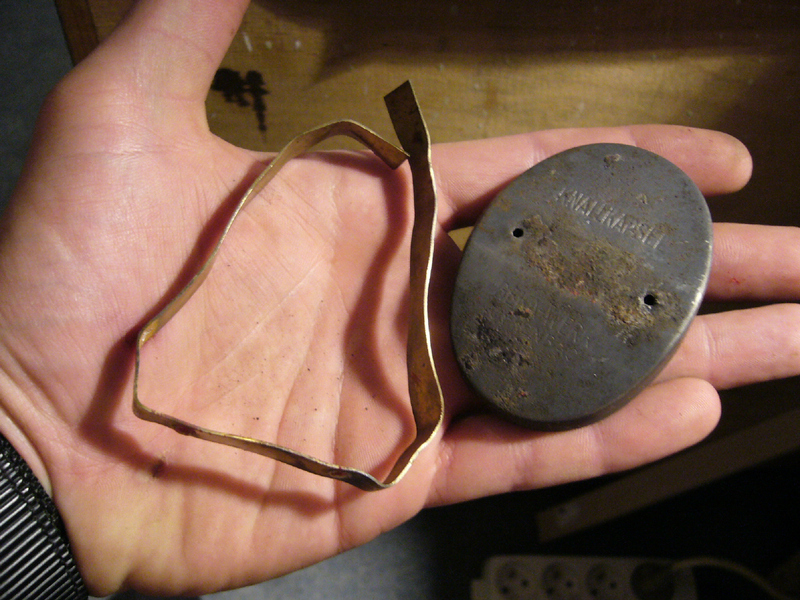 When the train-driver ran over these, a loud explosion was heard which alarmed the driver to slow down and stop. 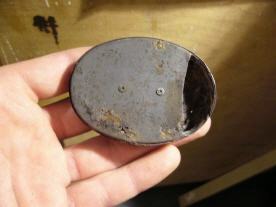 The thin zinc body was filled with a pyrotechnical mixture. 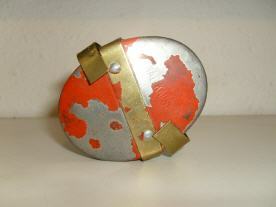 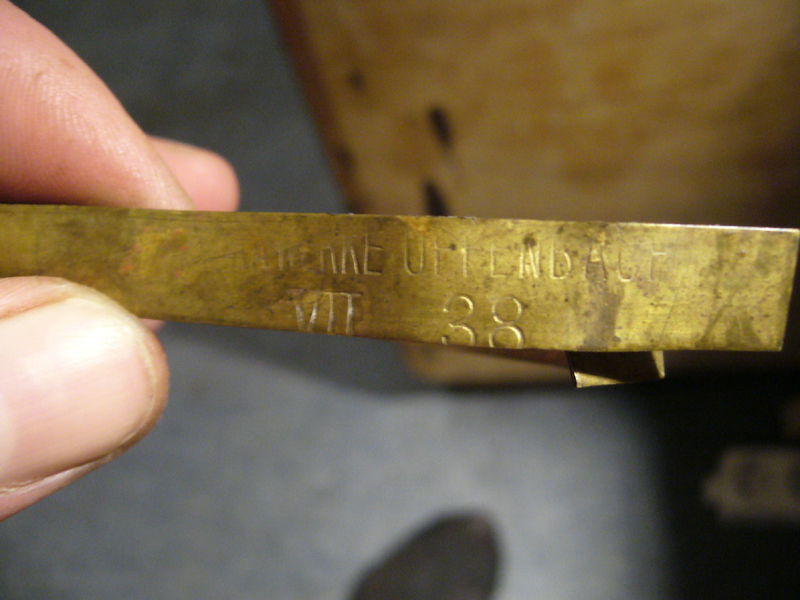 The brass strap allowed the alarm to be fitted to the track. 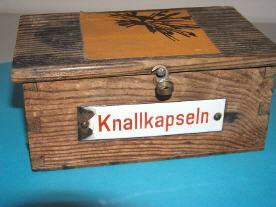 I got these very nice photos below from Germany. 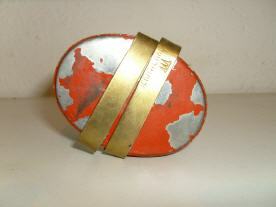 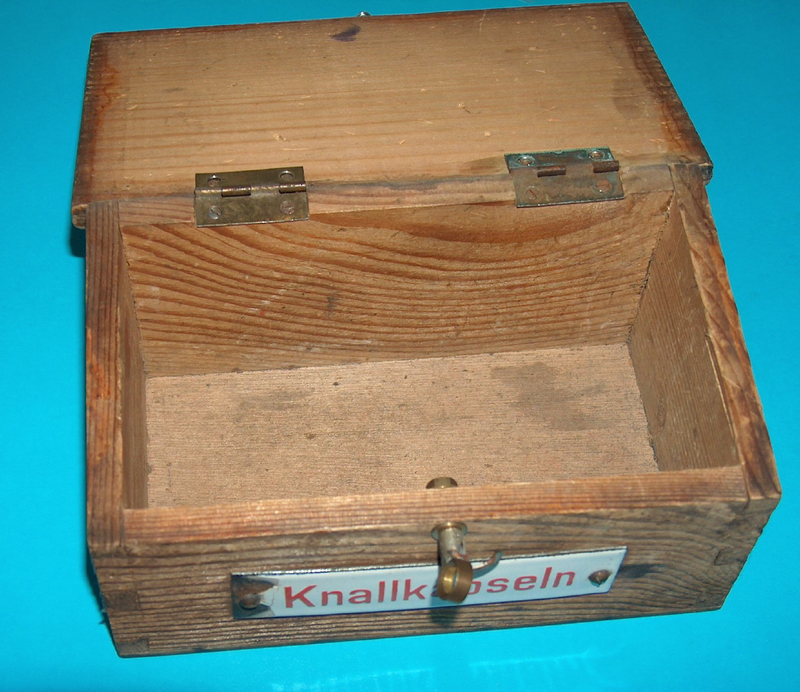 This is a 1930's wooden case that originally held the signals shown above. 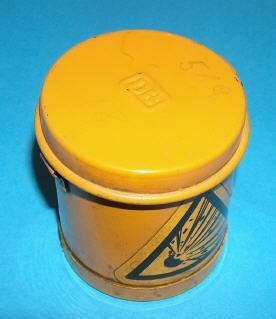 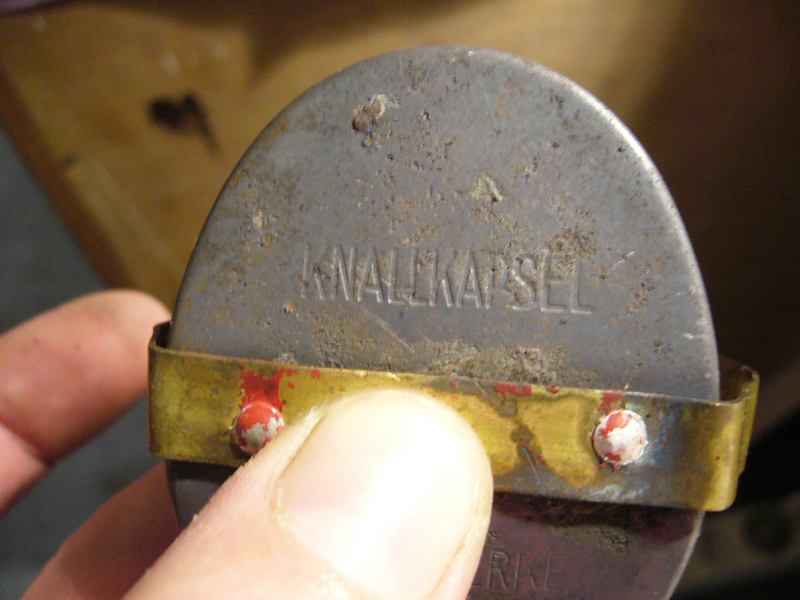 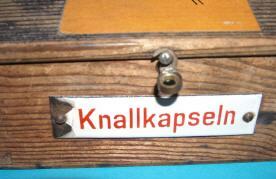 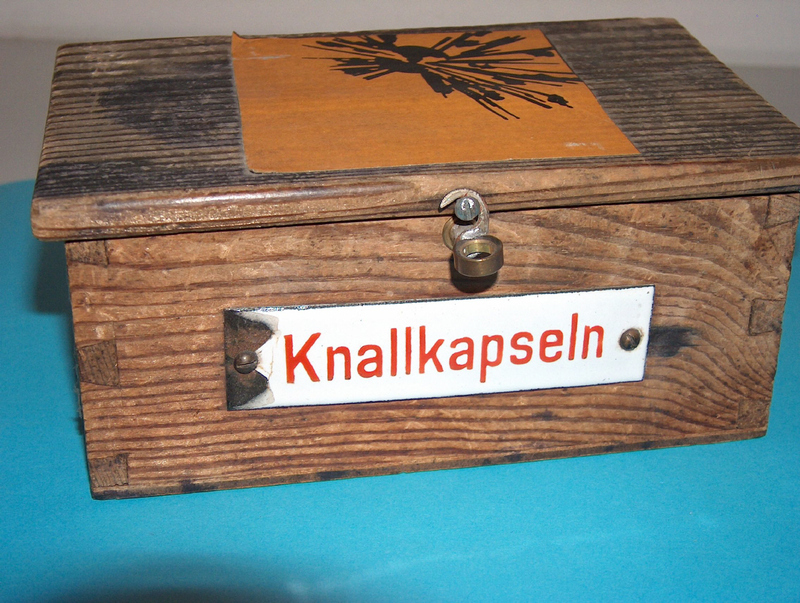 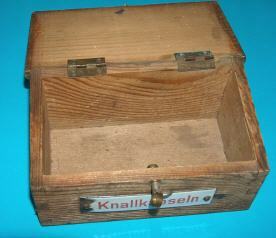 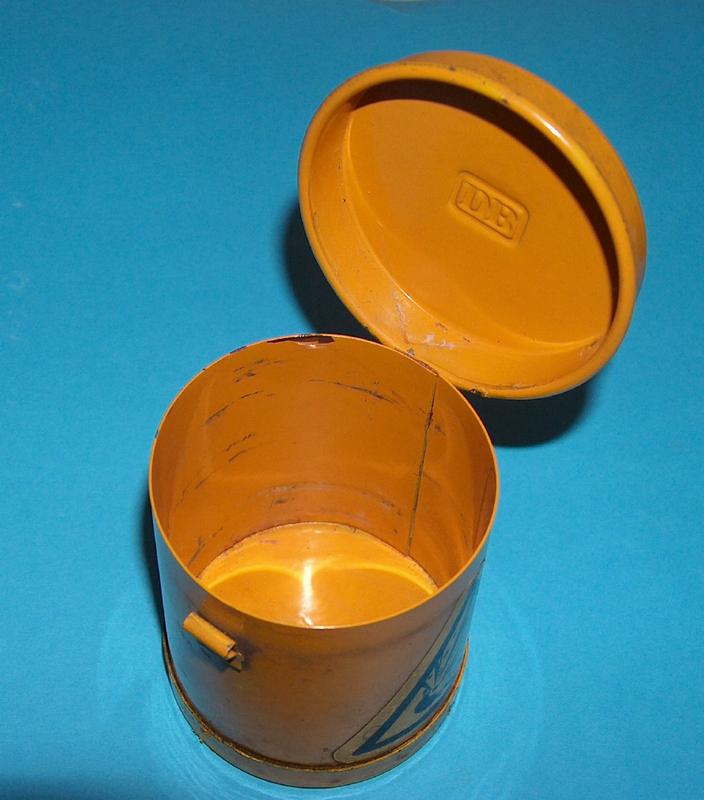 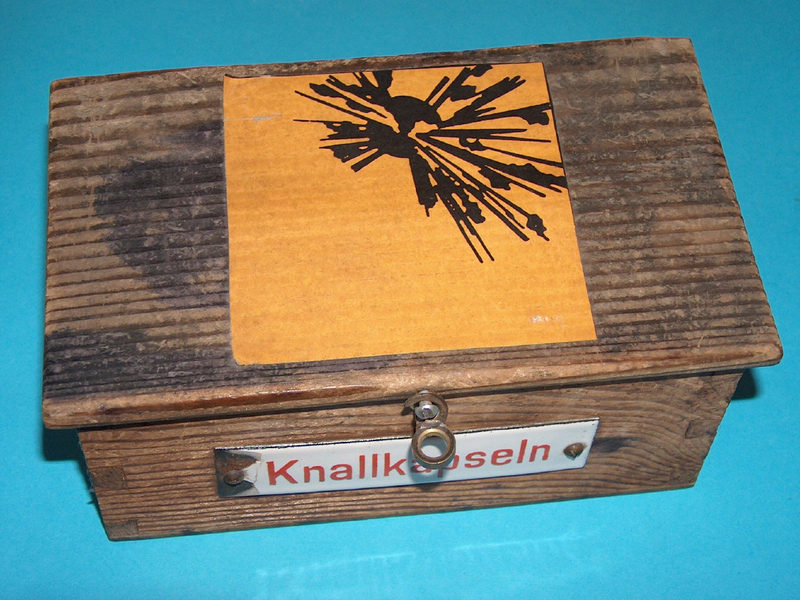 The two photos below show the storage can for other "Knallkapseln", used by the West-German RailRoad Company (DB) in the 1960's.